For the past 14 years, Deb has participated with TRI in delivering business simulations for clients as well as designing and developing online and virtual trainings. She is a lead faculty member of TRI’s virtual simulation team, designing and delivering virtual simulation experiences for GE’s Financial Management Program, Dell’s Financial Development Program, and Stanley Black & Deck University. She has worked with Nielsen to design, develop and implement its first finance entry-level training program and has assisted in the redesign of Dell’s entry-level finance program. In addition to her work with TRI, Deb is a faculty member at GE Crotonville, delivering finance and business acumen modules as well as business simulations for several courses. She is also an adjunct faculty member in the graduate program at Fairfield University. Deb’s work experiences have included analysis and compilation of financial statement data, forecasting, variance analysis, DCF modeling, and expense analysis. She has managed the development of a business’ new ledger system, established financial procedures for a new business, and was responsible for its day-to-day finance and accounting activities. Deb spent almost 12 years of her career with GE, holding positions in the Finance and Quality functions at both GE Corporate in Fairfield, Connecticut and GE Capital Services in Stamford. At GE Corporate, she was program manager for the Financial Management Program (FMP), coordinating all policies and curriculum initiatives for GE’s training program worldwide. 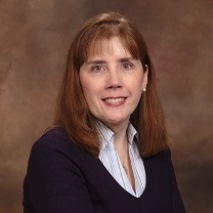 Since leaving GE, Deb has served as consultant to GE’s FMP program in the redesign of course curriculum.